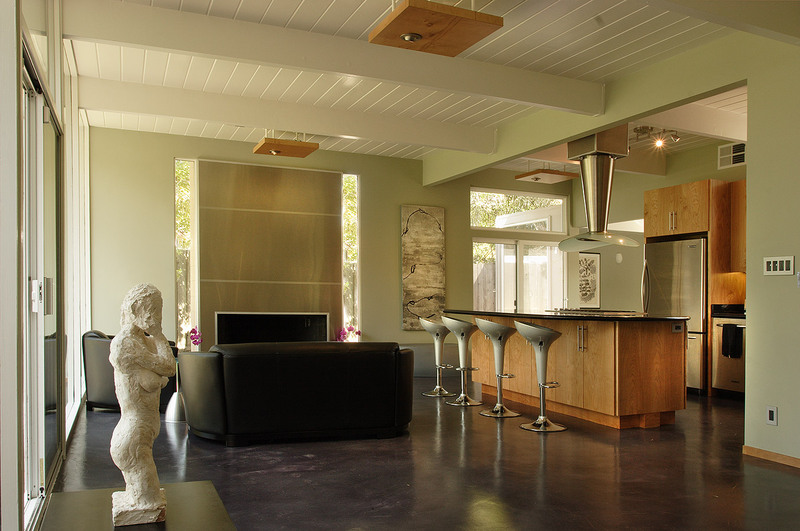 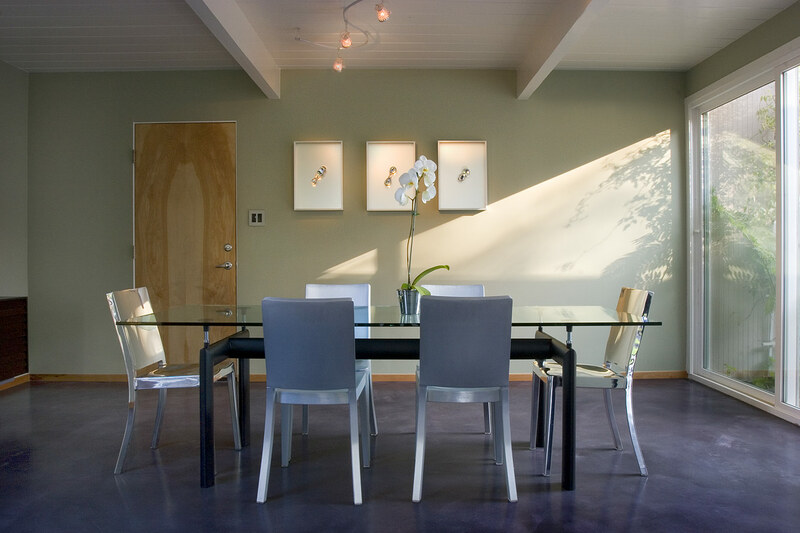 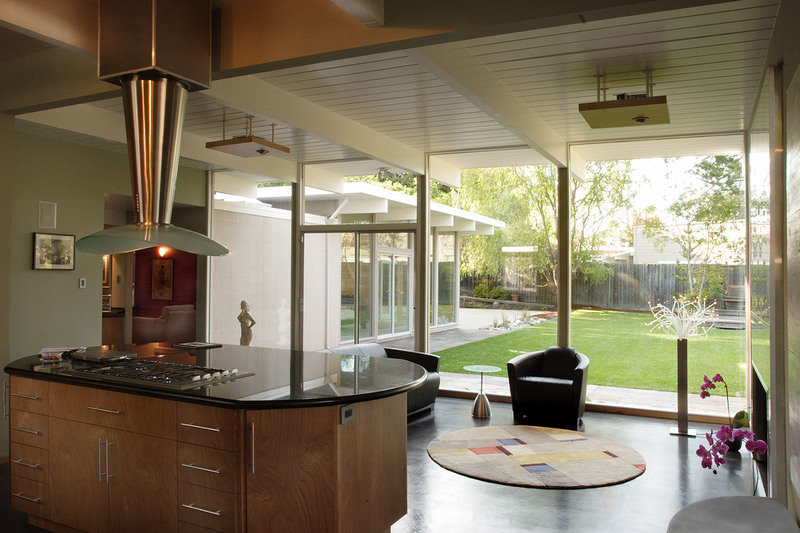 Klopf Architecture’s goal was to re-design and enlarge an Eichler home for a family devoted to the Eichler style. 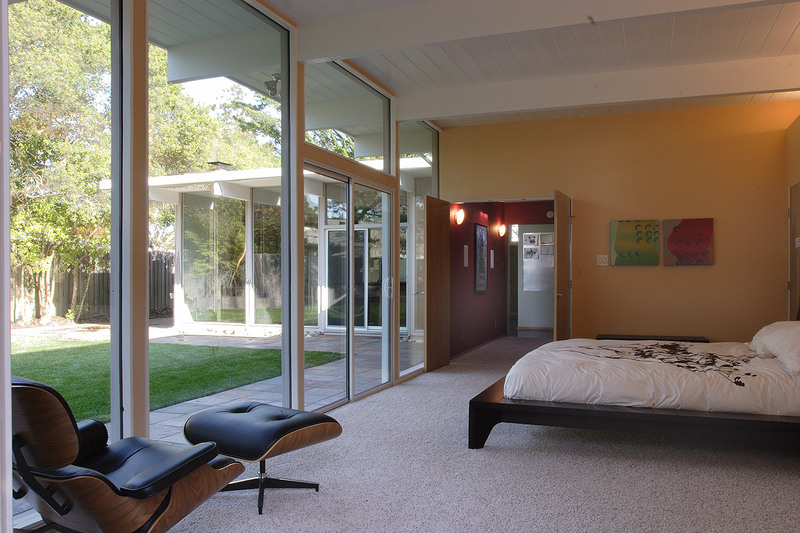 The plan, stick with the language of the Eichler home (but with modern quality upgrades) while adding a new wing and laying out the bedroom wing to be more useful. 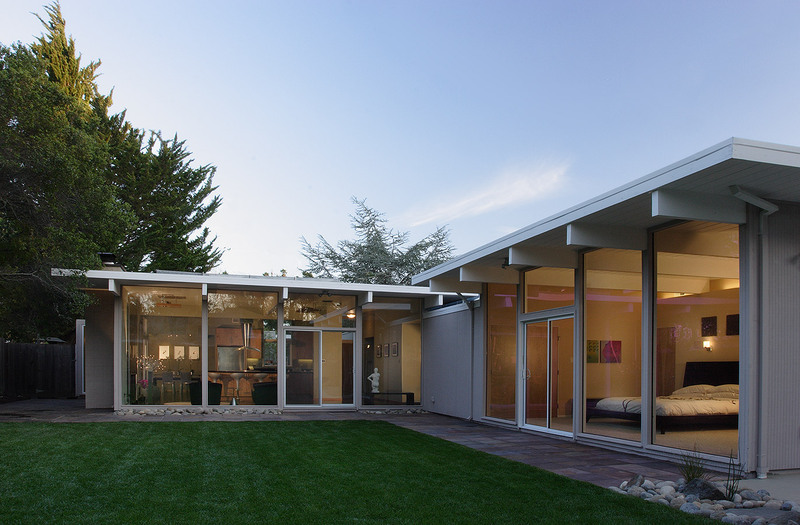 Klopf designed an “L” shape plan out of the original “H” shaped layout, making the rear yard a focus of two large walls of glass.